With so many Christmas parties taking place at the moment and the imminent NYE parties, LED furniture is in high demand. 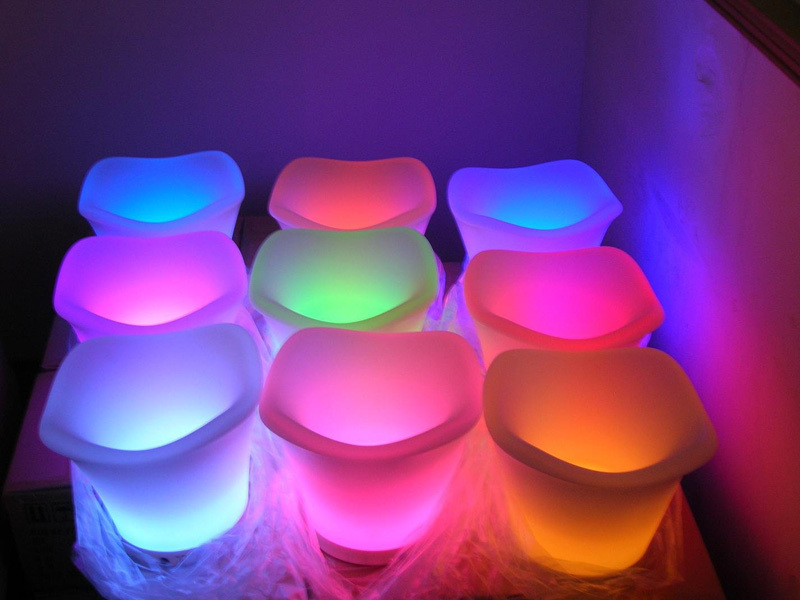 LED furniture can make any room look amazing and offer great ambience lighting and a functional seating option. We have brought into a vast amount of LED cubes, mobile bars, tables and ice buckets in time for the rush and have been blown away by the demand. See below some photos of how the LED cubes and LED coffee tables can be used in conjunction with other furniture. 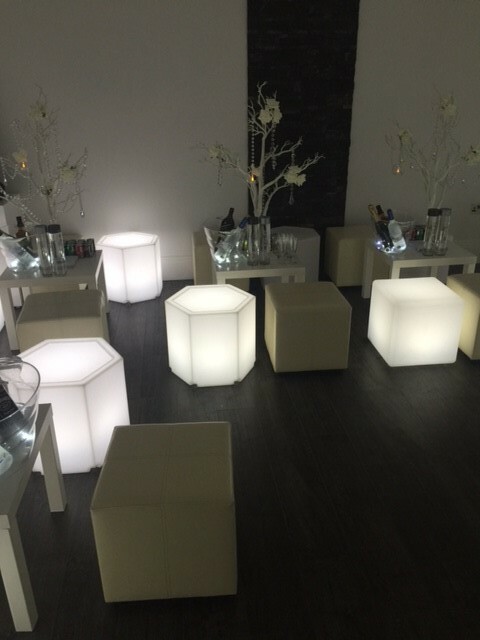 We hire our LED cubes from just £16.99 and our LED coffee tables from £25.00. Both of these items can go to 16 different colours and have three different setting options – these include fade, smooth and strobe. All of our LED items are IP65 rated and last for around 8-10 hours of run time. They come with a infra-red handheld remote control or can be controlled by buttons on the base of the items. 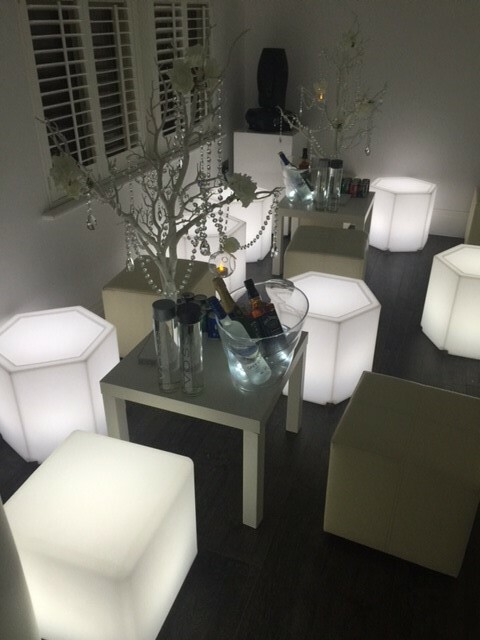 Our LED ice buckets make your tables look great and can help you emphasise any colour themes you may have. Hire our LED buckets for just £12.50 each. The biggest LED piece of kit we have is the modular bars, these can be put together to create a huge variety of different shaped bars. These are a real crowd puller and always go down a treat at parties. 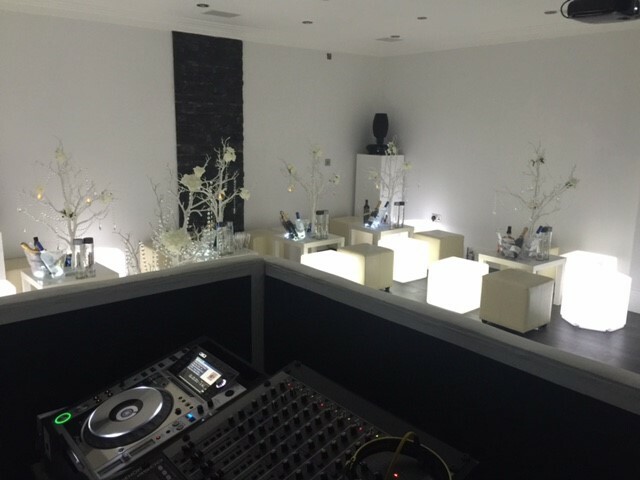 Each section of the bar is available from just £99.00 per section. All of our LED furniture is suitable for both indoor and outdoor use in all weather conditions. As the pieces are battery powered, there are no limitations as to where you can place them.